Miscellaneous Musings: I'd Love To Turn You On . . . I'd Love To Turn You On . . . I turn once again to the fiftieth anniversary of the release of the Beatles' Sgt. Pepper's Lonely Hearts Club Band, to look at the last, incredibly mind-blowing song on that album, "A Day In the Life." For those who missed it when I posted the promotional clip for the song as my Music Video Of the Week, here are my comments (slightly reworded here), with pictures. "A Day In the Life" is the last song on Sgt. Pepper, and it was written by John Lennon and Paul McCartney in early 1967 and recorded that February. 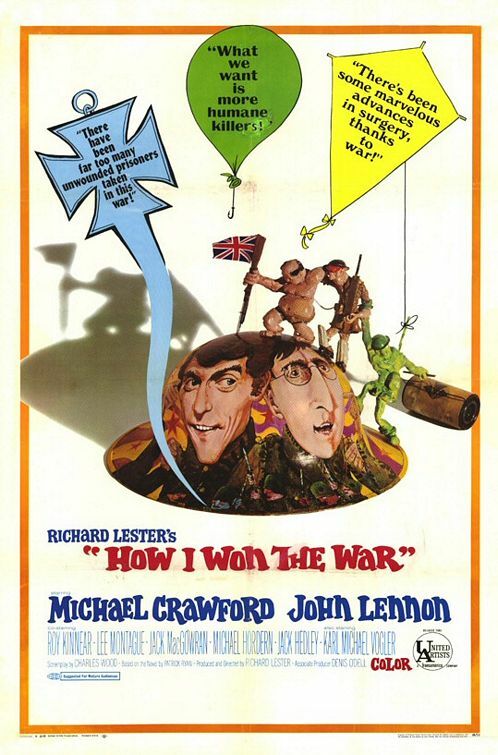 John started the song and based it on a couple of newspaper articles and his own experience in having played Private Gripweed in director Richard Lester's movie How I Won the War, a promotional poster for which is shown above. 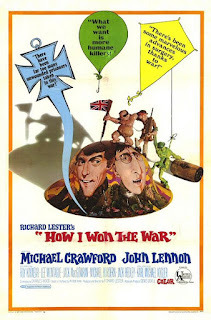 (The movie, based on a novel by Patrick Ryan and starring Michael Crawford as Lieutenant Earnest Goodbody - the first-person title character - would premiere in October 1967.) The first news story was about Guinness brewery heir Tara Browne (below), a friend of John and Paul, having died in a car crash. Browne didn't "blow his mind out" or go through a red light, as John wrote in the song; he swerved to avoid a car coming out of a side street and, realizing he couldn't avoid hitting a parked van, strategically aimed the car at an angle to keep his companion, fashion model Suki Potier, from sustaining serious injury. Potier survived; in a sad irony, though, she would die in another car crash in 1981. 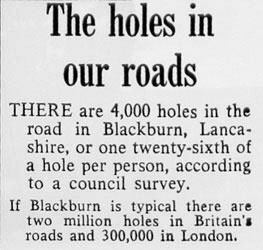 The other news story was a mundane report about four thousand potholes in the Lancashire town of Blackburn. 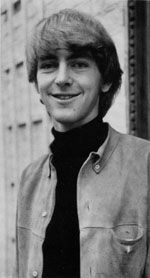 John threw in a nonsense line of how many potholes it would take to "fill the Albert Hall," the verb suggested by Beatles associate Terry Doran. Some Beatles fans have interpreted the lyric as a put-down of Beatles fans who filled Royal Albert Hall for one of the group's performances. Paul, meanwhile, had been trying to write a song about someone's day and his ride on the top of a bus during his morning commute, and he and John realized that making it the middle eight of John's song would provide a perfect counterpoint to what John was writing about; Paul's realism was merged with John's surrealism. When the Beatles brought "A Day In the Life" to the studio, they and George Martin arranged it as a moody piece with two 24-bar instrumental sections that they didn't know what to do with. Mal Evans, one of the Beatles' roadies, counted the bars in both bridges, with the ring of an alarm clock marking the end of the first bridge and with the second bridge being at the end of the tape. (The alarm clock ring was kept in as a sound effect to precede Paul's line about waking up and getting out of bed.) Eventually the group decided to try something novel to fill each 24-bar section - a forty-piece orchestra starting from the lowest note possible and building up to a high note at E major, improvising their way up the scale without paying attention to what each other were playing. It was recorded once and reprised at the song's end. (A conventionally arranged orchestral passage was used to link Paul's middle-eight lyric to John's final verse.) The orchestral session took place on February 10, 1967. The musicians, conducted by Martin, balked at improvising because they were classically trained, but everyone was pleased with the result. Twelve days later, the Beatles found the perfect way to follow the second orchestral section that follows the last verse - a final, crashing piano E major chord to bring the song to an end. The chord was played by John, Paul, Ringo Starr and Beatles roadie Mal Evans on three pianos, and overdubbed three more times on the four-track tape, with George Martin compounding the sound on a harmonium. David Crosby of the Byrds was at this piano-chord session. "Man," Crosby later remembered, "I was a dish-rag. I was floored. It took me several minutes to be able to talk after that." "A Day In the Life" was one of the most complex Beatles songs ever recorded. The sessions for the song took a total of 34 hours and cost £367 and 10/ (£367.50) - more than $7,500 in today's American currency. (The entire Sgt. Pepper album cost £40,000 to make, or about $100,000 in American money - the equivalent of about $731,000 today.) The February 10 orchestral overdub session was itself an event, Martin and the orchestra wearing evening dress and orchestra members wearing funny novelties. The Beatles invited guests including Mick Jagger, Marianne Faithfull, Keith Richards, Brian Jones, Donovan, George Harrison's wife Pattie Boyd, and Mike Nesmith of the Monkees to the session. The orchestral session was filmed for a possible television special on the making of Sgt. Pepper, but it never materialized because the BBC banned "A Day In the Life" for a supposed reference to drugs - "I'd love to turn you on." (The filming produced the eventual video.) Paul, who had contributed that lyric, insisted that the lyric referred to turning people on to the truth. And once people finished hearing Sgt. Pepper for the first time, with that final crashing chord, they would never be turned off from the truth ever again.